RollaStep: Designed for Work. Built for Safety. 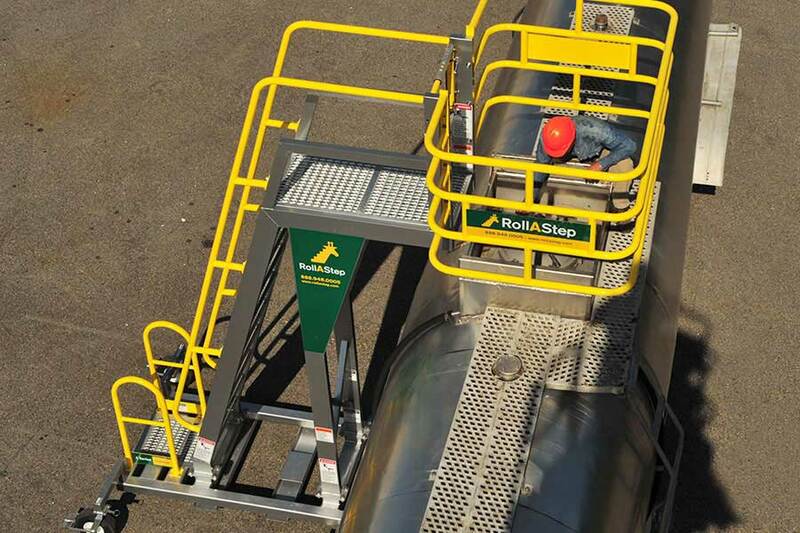 Rolling stairs and mobile work platforms from RollaStep make sure that productivity is safe and within reach of any employee. 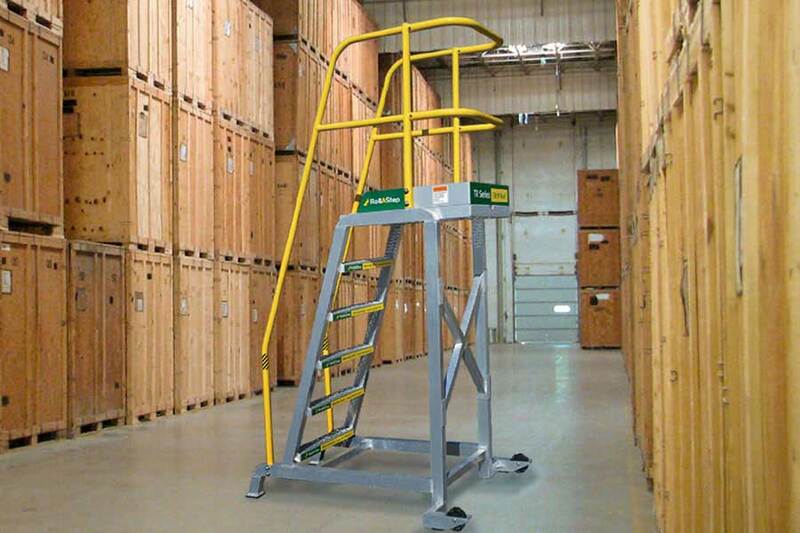 Four pre-engineered options, including cantilever rolling stairs, self-leveling stairs, mobile work platforms and tilt and roll platforms, can be height-adjusted to improve material access and work performance in warehouses, manufacturing plants or industrial worksites. We also customize our products for work environments that have added complexities to ensure a high level of work performance is achievable. 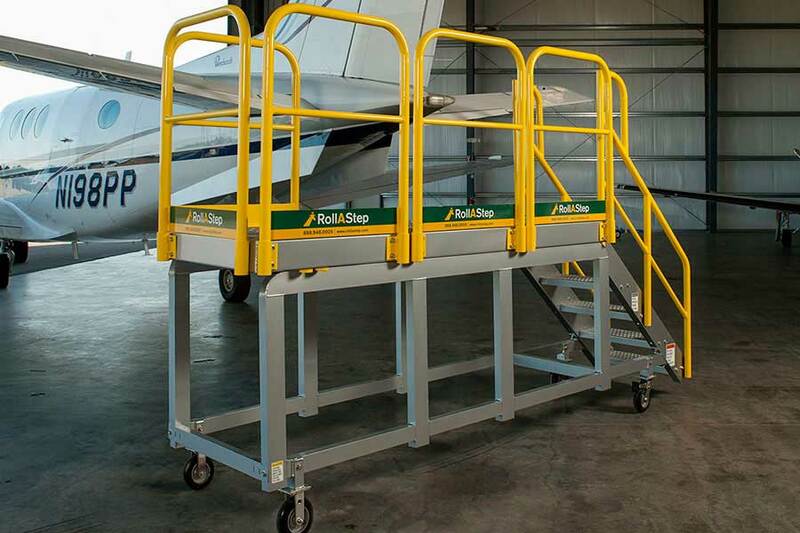 Made of durable, corrosion-free aluminum and equipped with handrails, non-slip tread and industrial locking casters for maximized safety, our stairs and platforms are always in stock, easy to assemble and virtually impossible to beat for safety, functionality and value. 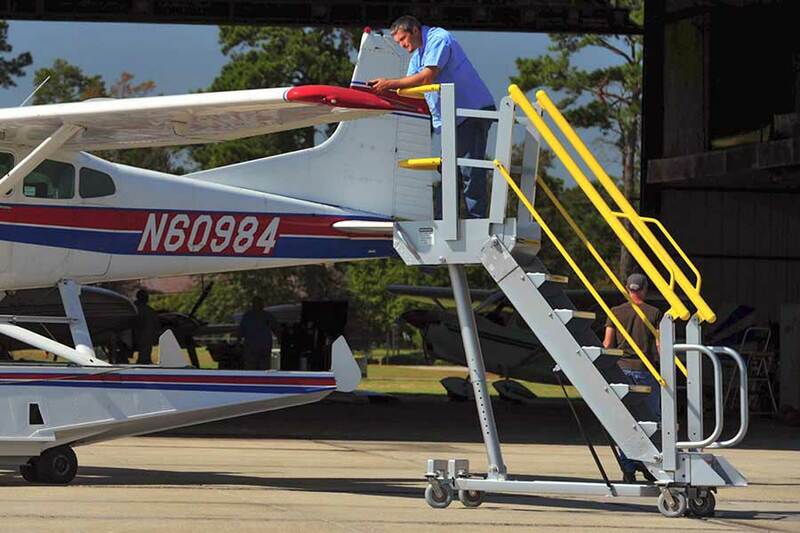 RollaStep is part of the SixAxis family of modern manufacturing brands, proudly forging a legacy in Andrews, SC. View current career opportunities at RollaStep. "The product added improved safety to my operation, does not take up much room and makes the operators line of sight a lot better. With the area that this product is being used in my facility, the overall length was going to be an issue having the version with steps on it. 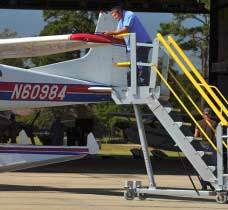 So, I ordered ours with a ladder instead of the steps, and it worked out perfectly." "I would recommend this product as it performs very well for the purpose for which it was purchased. 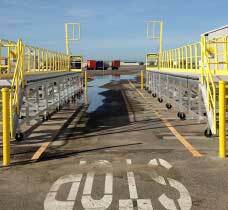 The design worked very well for the rail cars it was purchased for, with simple accessibility, ease of movement and product strength." "Quickly from design to fabrication and finally delivered. Allows safer, easier access to our food trucks for service needs. Easy to transport and set in place. There is also a huge amount of work space inside the basket. Key benefits for us were Safety! Sound Structure! All aluminum!" "Products were delivered earlier than estimated date. Stephen Todd and your engineering staff has always been quick to respond to all of our requests. I would reccomend all of your modular equipment." 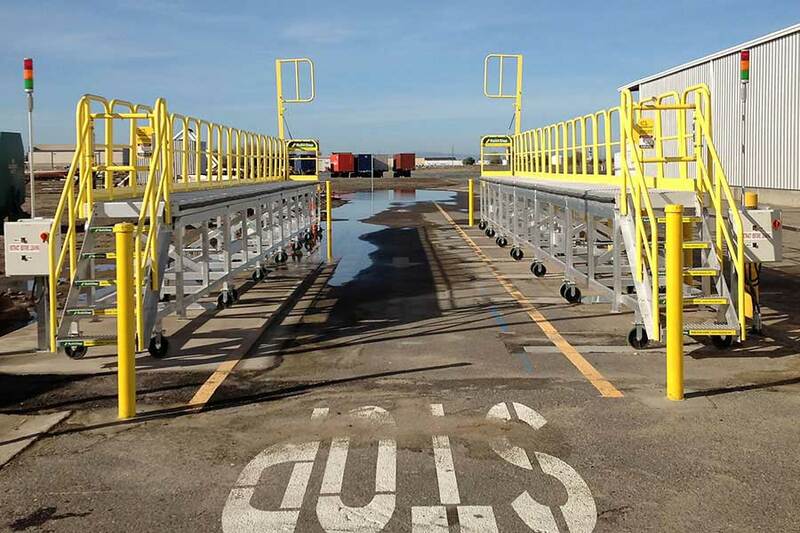 "A custom order we designed at boeing with assistance of SafeRack. 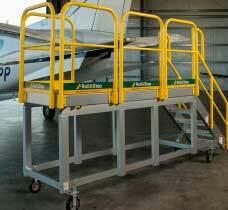 This TR Series fits the need of our mechanics, can be used in different areas, easy to move and use. The product is well worth the money spent and good quality to last for years." 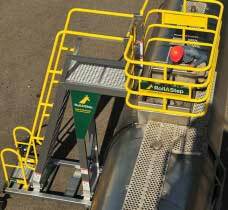 "Everything was fast, efficient from the time i ordered it until the time I received the RollAStep. Our representative was very friendly, answered all of my questions promptly and was very knowledgeable. 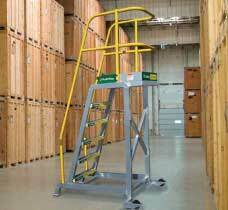 The product works great in our warehouse, increasing Increased safety, manageability and cost effectiveness." "We had a great experience with your company. Thanks for all your support!" "Customer service and sales worked together to meet our invoice and payment needs. It was our first time doing business, and they made sure order went through without any delays. Items arrived much quicker than I anticipated." "My salesman was excellent. he got back with me very quickly on all my requests and was very informative. My MP Series RollAStep was excellent quality, vert light weight and stable. We are safer in the jobs we used to do before we bought this product." "Good quality product, safe, easy to use, easy to maneuver, and great customer service." "Jason is our super hero! We call him Captain America... he's great! It took longer for us to issue the PO than it did to get the product! Thanks Again! " "Scott Hite was very responsive. Communication flowed well. They had representation on site within a matter of a day or two prior to placing the order. Questions and concerns were answered in a timely fashion."